Now buy Sub T-Shirt personalised or just plain in our fashion range. These Kids Fashion are part of ..
Now buy JS105 Zoey Fashion personalised or just plain in our fashion range. These Sub T-Shirt are pa..
Now buy 11775 Unisex personalised or just plain in our fashion range. These Sublima T-Shirt are part..
Now buy JS001 Sub personalised or just plain in our fashion range. These T-Shirt are part of the bra..
Now buy JS001B Kids personalised or just plain in our fashion range. These T-Shirt are part of the b..
Now buy Dye Sublimation personalised or just plain in our fashion range. 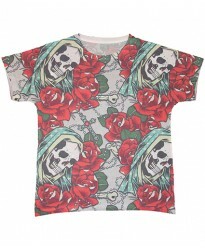 These T-Shirt Printed 1 Sid..
Now buy Dye Sublimation personalised or just plain in our fashion range. These T-Shirt Printed 2 Sid..